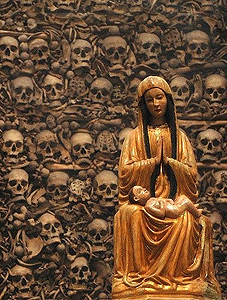 Christianity is often criticised as a death cult, with its preoccupation with suffering, torture, death, relics (human remains) and hell. 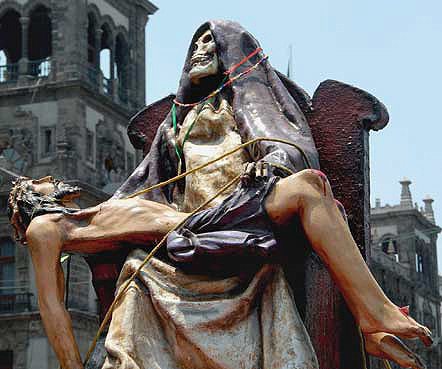 Its most central doctrines concern the torture and death of a man-god, and Roman Catholics still purport to eat his (real) flesh and drink his (real) blood. 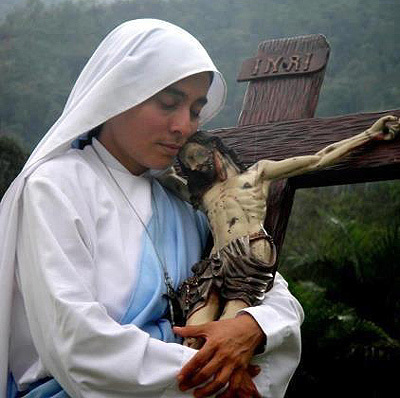 Its main emblem, the cross, worshipped like a holy saint, is an instrument of torture and death. 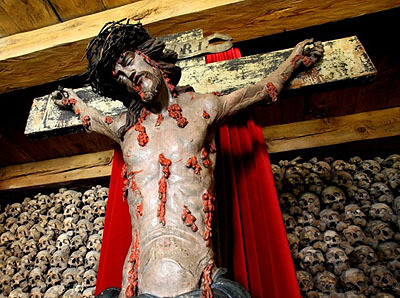 In churches around Europe you can find the miraculously preserved miracle-working relics of thousands of Christian martyrs and other saints. At least that is what devout Christians will tell you. 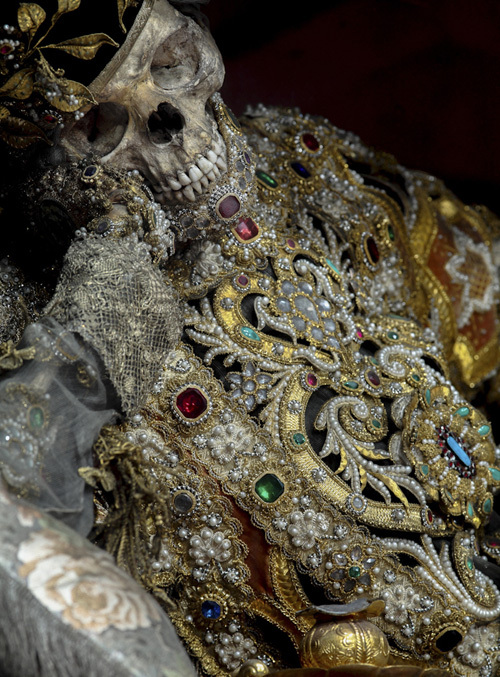 According to many Christians, saints’ bodies do not decay like ordinary human bodies. They miraculous stay fresh and sweet indefinitely. 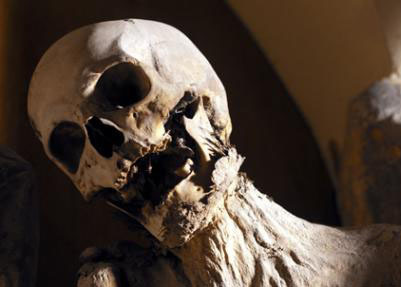 One of the most curious aspects of this is that all of the remains shown off as “perfectly preserved” are at best mummified, and more often decomposed. 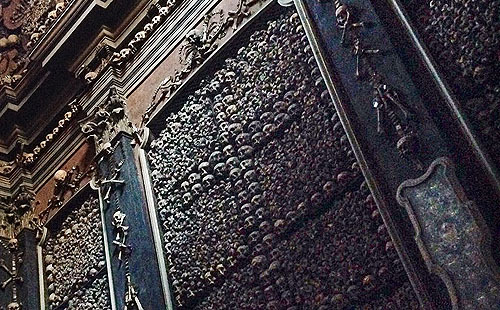 Many of these “perfectly preserved” remains are skeletons with padded cloths, furnished with shoes, gloves and face masks. 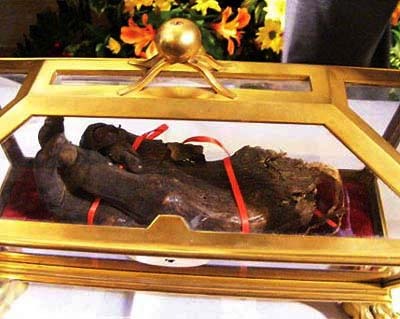 On Catholic websites you can easily find accounts of these perfectly preserved remains, moving, smiling and requiring regular attention for their hair and nails which continue to grow. 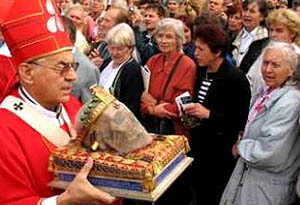 The Second Council of Nicaea in 787 decreed that every altar should contain a relic, and this requirement remains part of Church Law, in Catholic and Orthodox Churches. 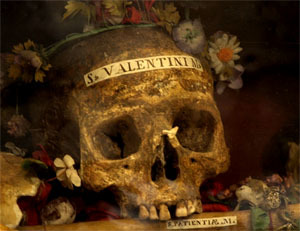 Detractors say that these relics – often but not always the remains of dead people – are one of the main manifestations of necrophiliac practices, which appeal to a disturbingly large number of Christians. 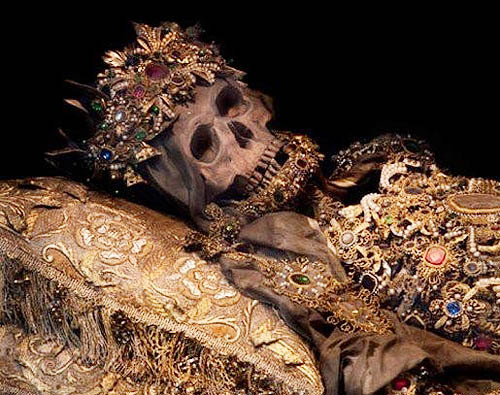 Dressing up dead bodies in gold and jewels and putting them on public display seems as best macabre, and at worst confirmation that Christianity is a cult of death with disturbing sexual overtones, evidenced by the strangely excited states of some devotees. 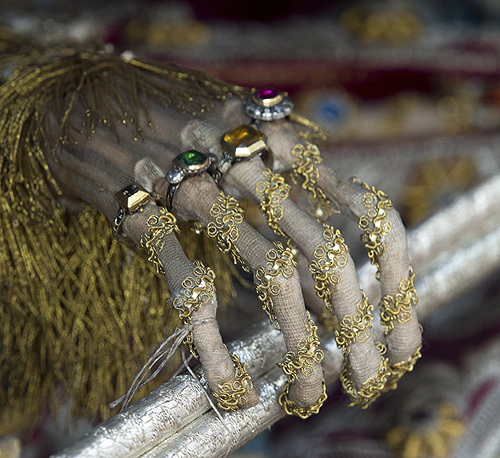 Other Christian devotees even pay the dead-bodies money to do supernatural favours for them. 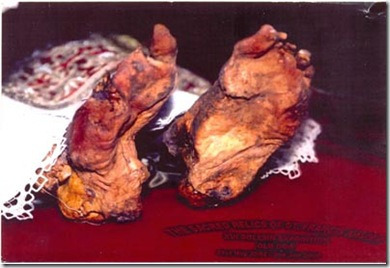 One of the more disturbing aspects of the cult of saints is the dismemberment of bodies for the members to be preserved or sometimes eaten by the devout. 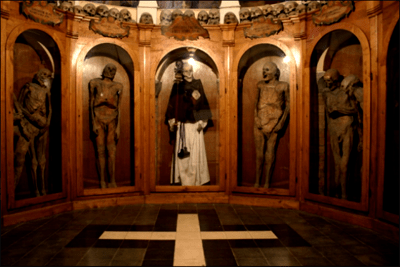 When Bishop Hugh of Lincoln chewed on a bone of Mary Magdelene preserved at Fecamp he was challenged by the guardians of the precious relic, and defended his action by saying that if he could eat Christ’s body [in the Catholic mass] then he could certainly chew on the Magdalen’s arm. 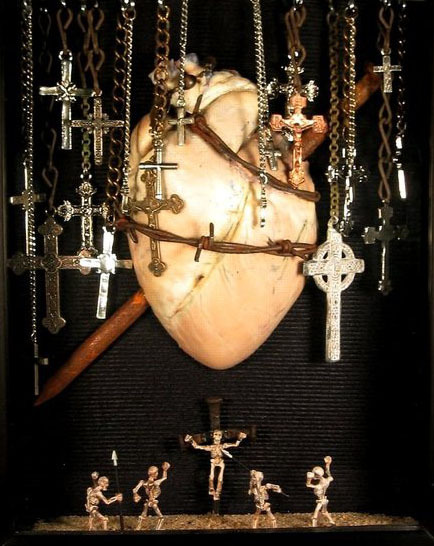 Devout and noble people often had their hearts removed after death, and those who cut them out often noted that these hearts had pictures engraved upon them, generally representing the things most dear to them in life. 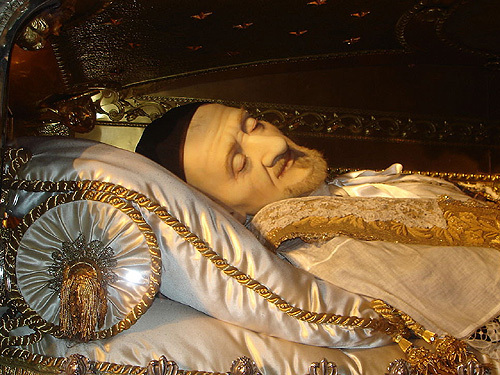 Sadly none of these pictures have survived on the perfectly preserved hearts of any of the saints, for whom this miracle was claimed. 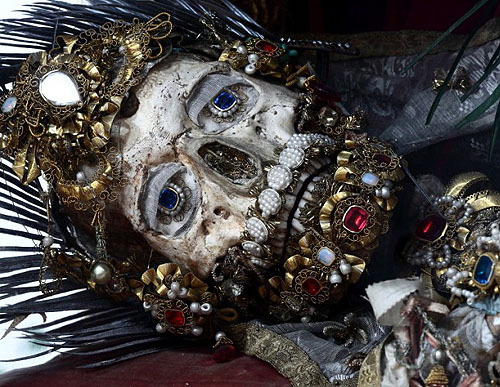 (So our only surviving reminder of the phenomenon is the often quoted claim of Bloody Mary that the word “Calais” would be found written on her heart after her death. 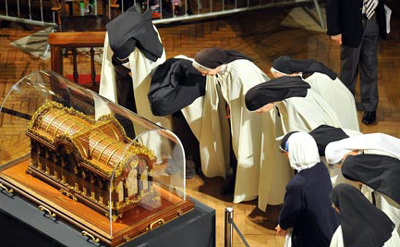 The question of whether relics have ever worked properly attested miracles is covered at Miracles, Revelation & Faith, but it is worth noting where many relics come from. 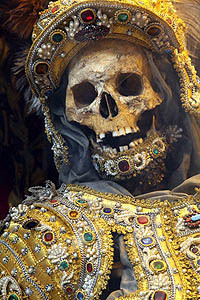 According to the Catholic Church many came from the Christian catacombs under Rome, and this is true as far as it goes. 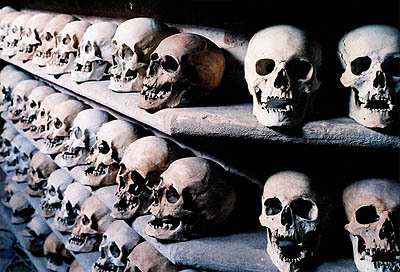 The Roman catacombs had been abandoned as burial sites and largely forgotten by the sixth century. 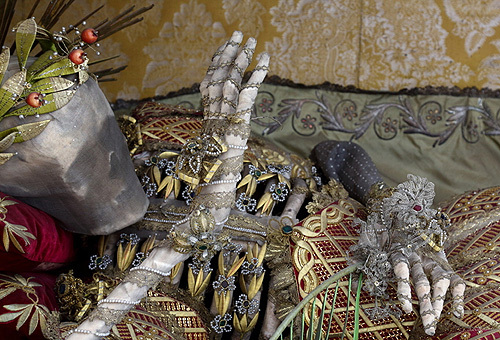 They were rediscovered in 1578 by vineyard workers. 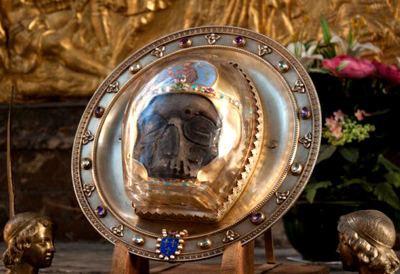 This looked like a God-send as the Catholic Church was engaged in the Counter-Reformation and keen to promote the cult of relics. 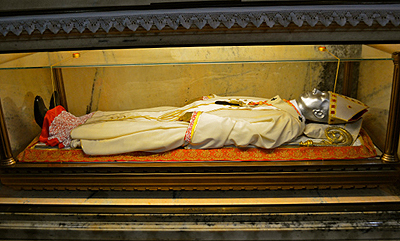 One of the areas of concern of the Council of Trent was affirming the efficacy and belief in relics against attacks by Protestant detractors. 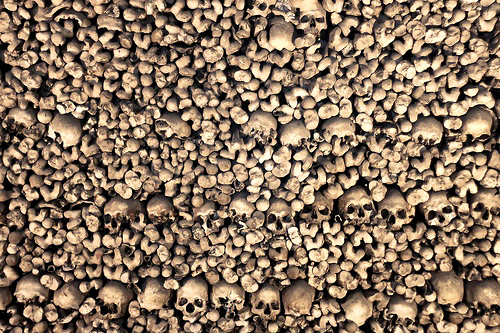 The bones in the catacombs were a treasure trove. 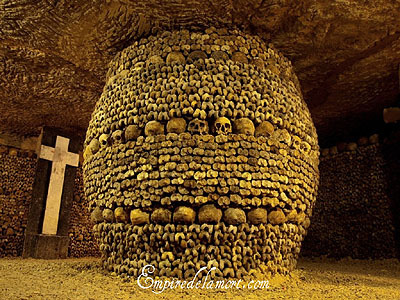 The remains in the catacombs dated from the second to fifth centuries AD so it was possible, for Churchmen to imagine the bones as belonging to famous early Christian saints and martyrs. 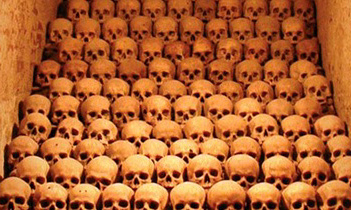 They correctly saw the cache of bones as the perfect tool to promote their power and wealth. 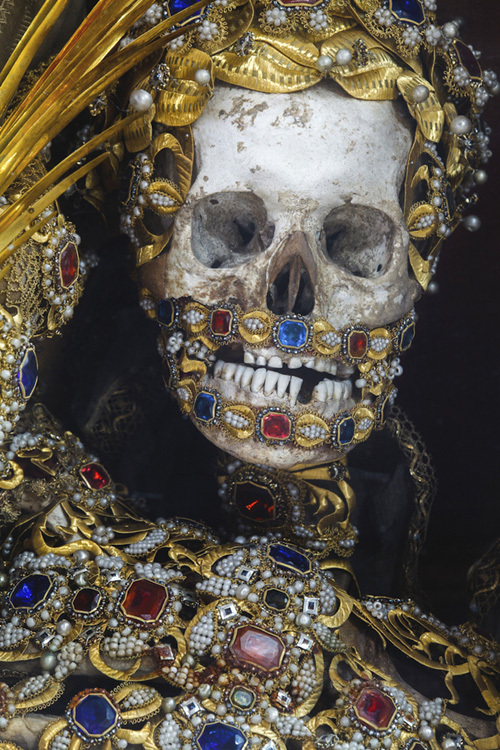 The bones were removed, sold to willing buyers, dressed in gold, silver and jewels, and put on public display to attract the faithful. 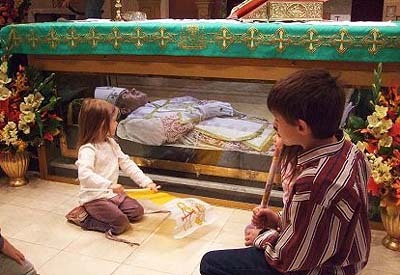 What the Church is more reticent about is how we know whose remains they are. 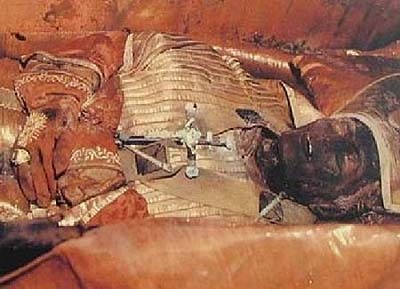 There was no way of knowing if they belonged to Christians or to pagans who had not been cremated (some but not all pagans were cremated). 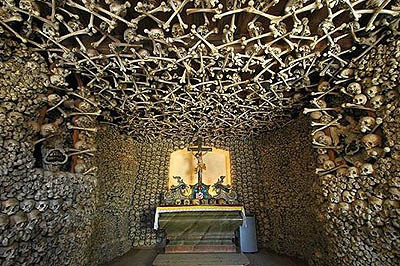 To find out who the bones belonged to Priests used psychic mediums, or acted as mediums themselves, or even used the services of psychic popes. 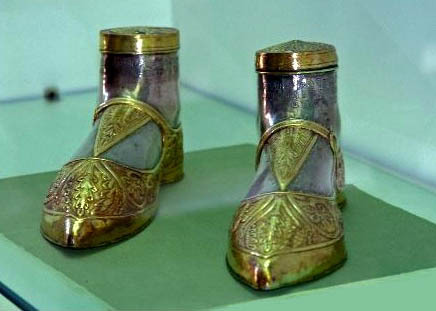 The practice continued until the mid-19th century. 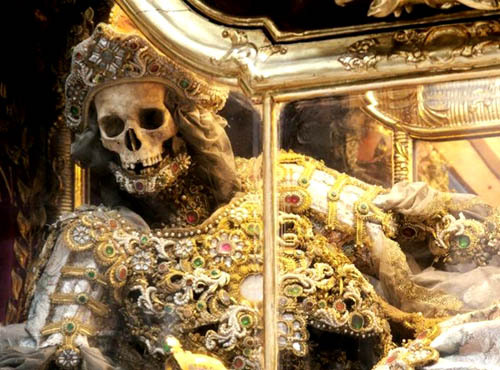 Churches in the German-speaking Alps, vied to obtain the sanctified skeletons, in mass quantities. 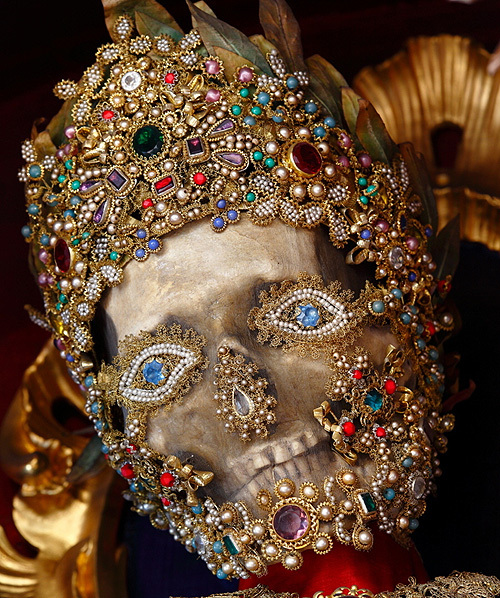 The Diocese of Konstanz accumulated 120 of them in the 17th and 18th centuries. 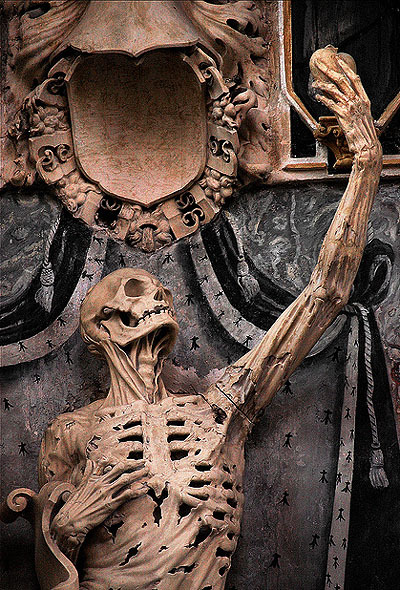 The pose and decoration of the bones was left to local churches, who used familiar methods to decide on poses and the extent of decoration – they simply asked the bones, again relying on psychic powers. 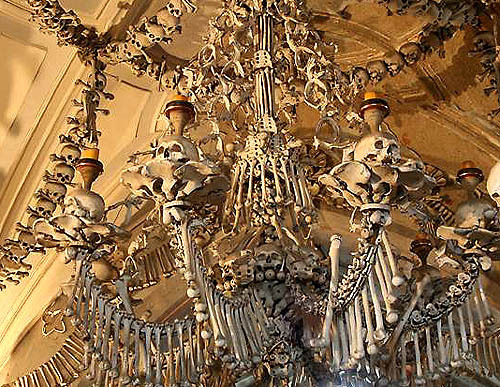 Priests, nuns and other mediums communed with the bones, and the bones told them how they preferred to be posed and what they would like to wear. 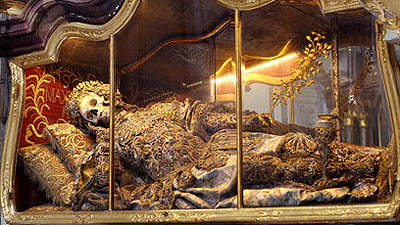 At St Gallen Monastery a team of nuns, prayed over the [second set of] remains of St Pancratius until they were rewarded by details of his preferred articulation, dress and jewels, though he neglected to mention that he had died at the age of 14 and was not, as they thought, a soldier. 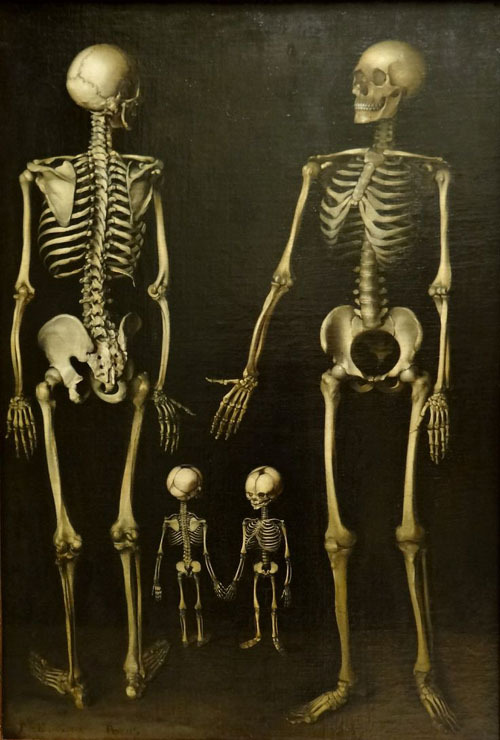 Sometimes the bones were more compliant. 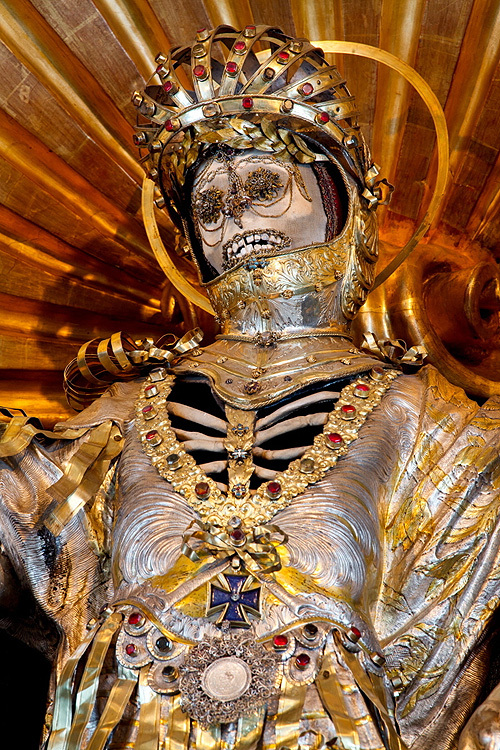 At the Basilica at Waldsassen, according to local records, the skeleton of St Maximus helpfully positioned itself. 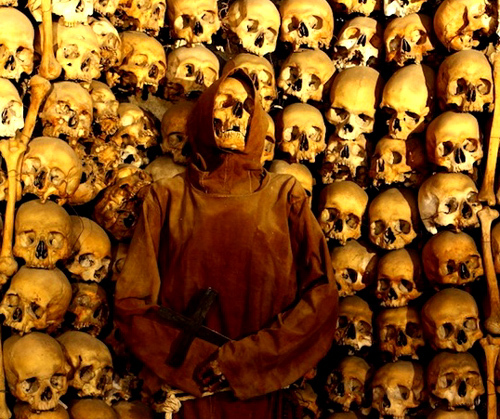 For some reason, Catholic writers were reluctant to give specifics about psychically communing with bones in the catacombs, but SI Mahoney, a Catholic priest who left the Church, wrote an account of the process. 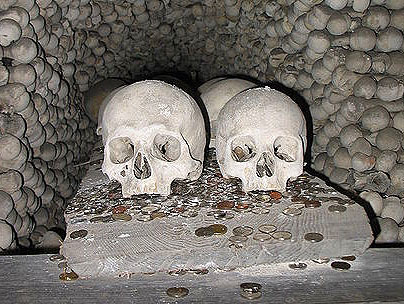 He said that periodic trips were made to the catacombs, to augment the supply of relics. 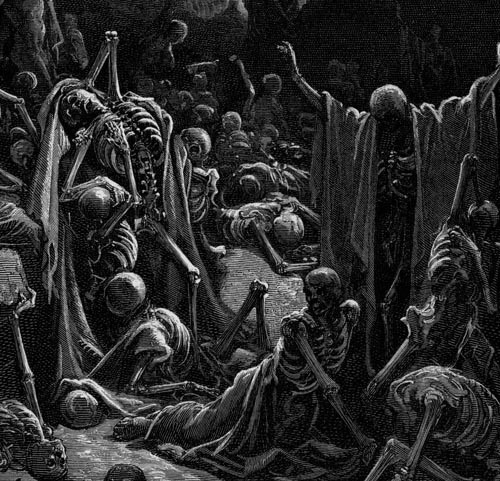 No one knew the identity of the skeletons, or even if the skeletons were those of Christians – hence the need for psychic communications. 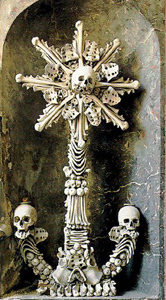 Bone Monstrance, The Sedlec Ossuary (Czech: Kostnice v Sedlci) a Roman Catholic chapel, beneath the Cemetery Church of All Saints, in Sedlec, a suburb of Kutná Hora in the Czech Republic. A monstrance or ostensorium is a vessel used in Roman Catholic churches to display the consecrated Eucharistic host, during Eucharistic adoration or Benediction of the Blessed Sacrament. 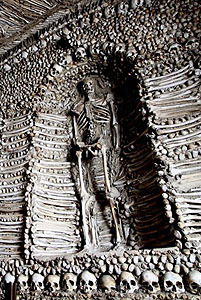 Mahoney mentions that Pope Gregory XVI would descend into the catacombs accompanied by priests. 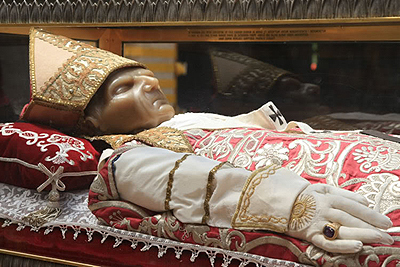 There he would invoke the Holy Ghost, and read a prayer, “by which Divine assistance, and directions from on high, is sought for the performance of this… solemn duty. 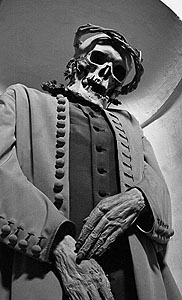 The Pope then casts his eyes around the confused mass of mouldering skeletons, and, as the whim may take him, calls this the body of saint such-a-one, another, the body of ‘Virgin some-other-one’ – and so on, till he is warned by his attendants that enough are now baptized… to serve for the present occasion. 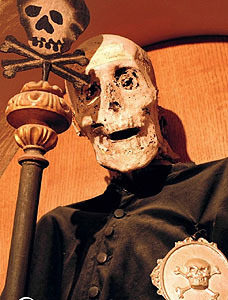 The rotten bones are then carefully collected, and, having been sprinkled with holy water, are placed in a chest prepared for that purpose, and carried in procession to the Vatican.” [SI Mahoney, Six Years in the Monasteries of Italy, and Two Years in the Islands of the Mediterranean and in Asia Minor, New York, 1836, pp261-262.]. 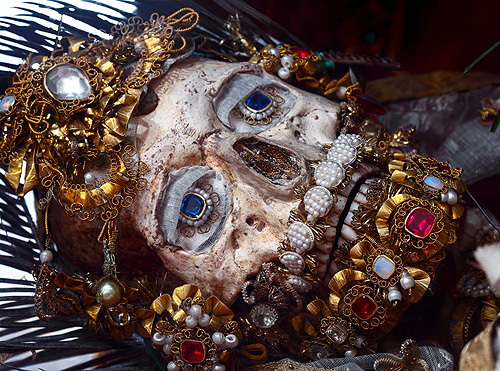 Such exercises were immensely profitable, as the holy relics were then sold to the devout rich. 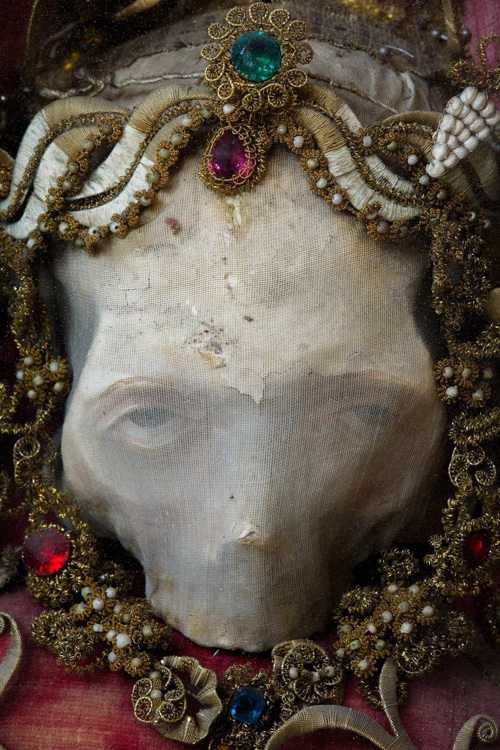 The psychic abilities of priests and popes were not always reliable. 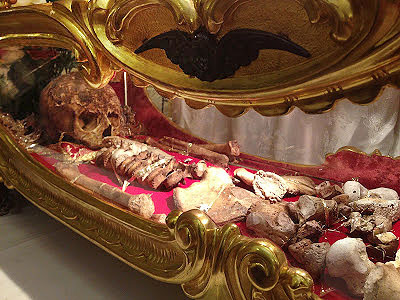 They identified bones as belonging to Christians they had heard of, but who had died and been buried elsewhere, or whose miracle-working skeletons were already being venerated, sometimes in several different places. 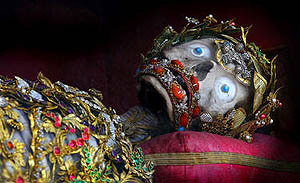 Constantine the Great, for example, was buried in Constantinople, yet the bones of his second body were identified in the catacombs and are now working their miracles in Rott-am-Inn, a parochial church in Germany. 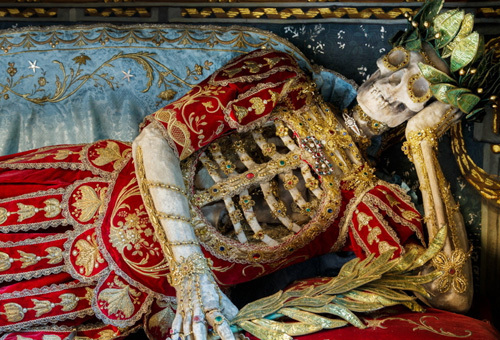 The Church of St Nicholas in Wil in Switzerland, possesses skeleton of the third-century martyr St Pancratius, taken from the catacombs in the 17th century, even though the saint’s relics were already in the Basilica San Pancratio in Rome. 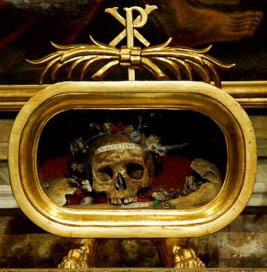 The remains of St Deodatus declared their identity to a papal secretary in 1688, even though he had several other dead bodies already being venerated and working miracles elsewhere in Italy. 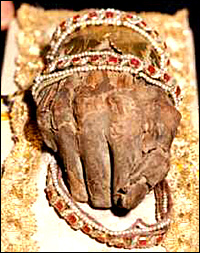 Perfectly preserved saintly bodies are becoming ever less accessible to the public, and even to the faithful. 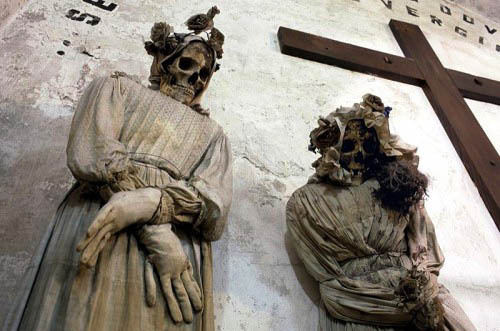 They can still be seen in a few traditionalist areas of Europe, most notably at the Papal Basilica of Waldsassen (Stiftsbasilika Waldsassen) – though it is notable that such locations have ceased to be widely advertised. Most of this website is closely reasoned, but for the rest of this page, the pictures can speak for themselves. 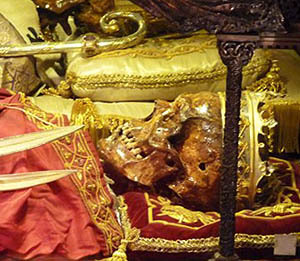 Catholics are encouraged to visit and venerate not just ordinary graves, but dead bodies and dismembered body parts. 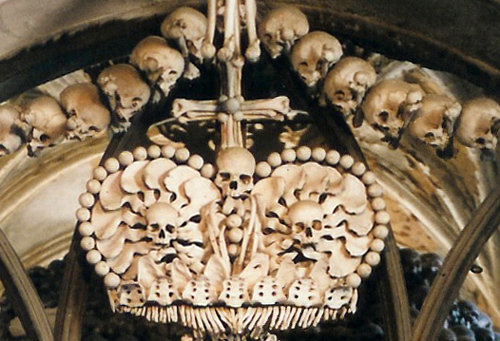 The Sedlec Ossuary beneath the Cemetery Church of All Saints, in Sedlec, a suburb of Kutná Hora in the Czech Republic. 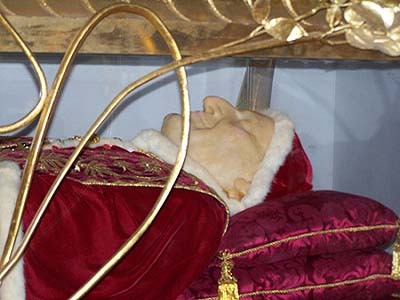 Pope Celestine V again – note the wax mask and badly stuffed papal glove. 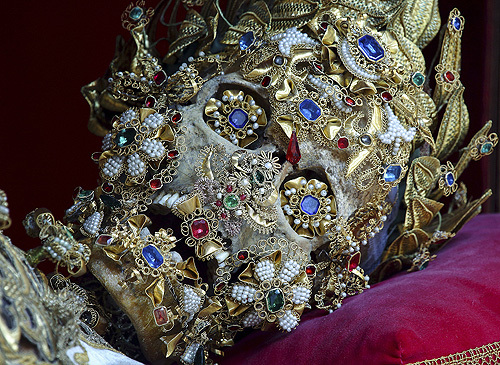 His skull is covered with a face mask. Evidently he is regarded as a suitable playmate for young children. 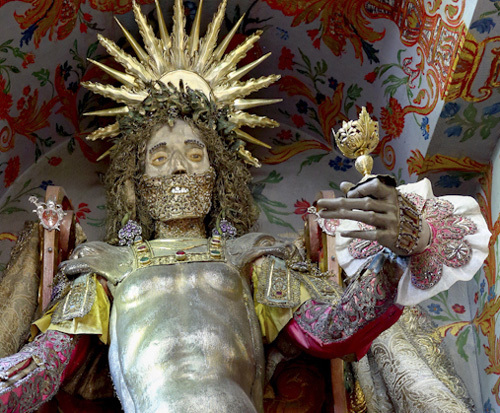 kept at La Sainte Baume, Diocese of Frejus-Toulon, Southern France. 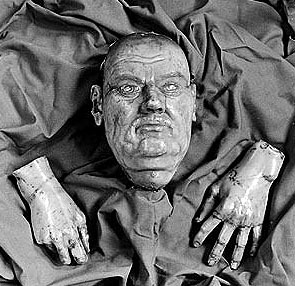 The Death mask of Martin Luther along with casts of his hands. 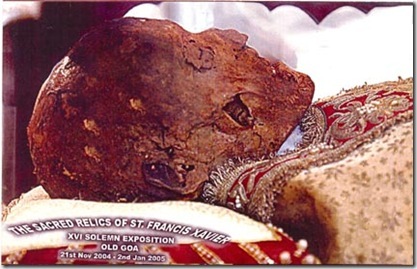 Lutherans and other protestants do not recognise the veration of relics, so these gruesome artefacts are kept in a museum, not a Church. Brindisi Greek Orthodox Church dedicated to St. Nicholas of Myra. 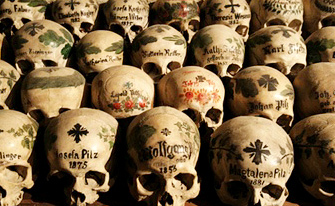 It is situated in Klodzko County, near Kudowa Zdrój, in the Lower Silesia, Poland. 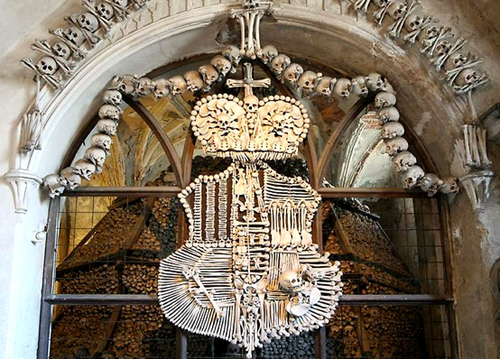 The Sedlec Ossuary (Czech: Kostnice v Sedlci) a Roman Catholic chapel, beneath the Cemetery Church of All Saints, in Sedlec, a suburb of Kutná Hora in the Czech Republic. Schwarzenberg Coat-of-Arms. 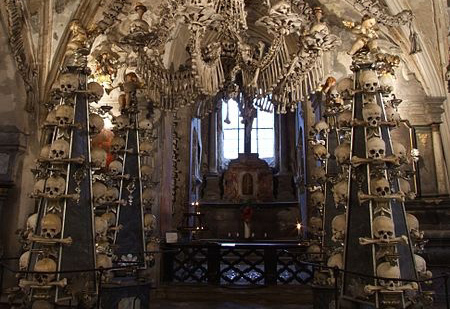 The Sedlec Ossuary (Czech: Kostnice v Sedlci) a Roman Catholic chapel, beneath the Cemetery Church of All Saints, in Sedlec, a suburb of Kutná Hora in the Czech Republic. 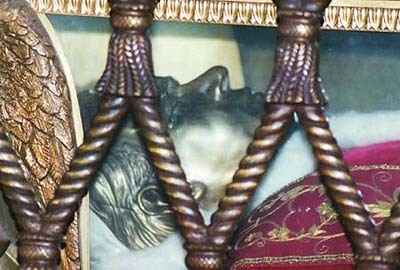 Teresa of Avila was cut into pieces by priests and bishops. 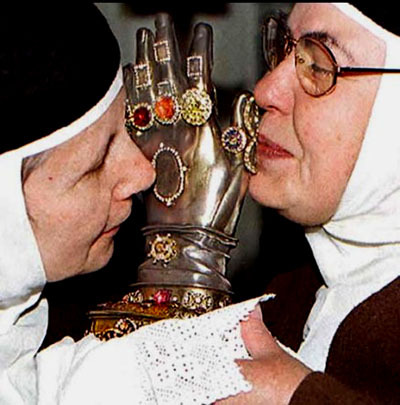 Here two nuns kiss her hand, preserved as a miracle-working relic. 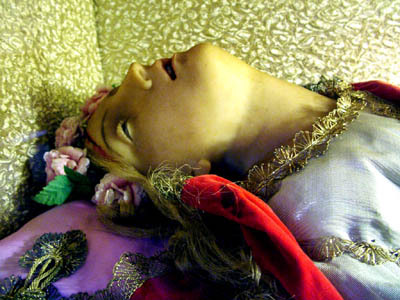 The body of the (fictitious) Saint Celia (or Celia) was so well preserved that it has been replaced by replicas. 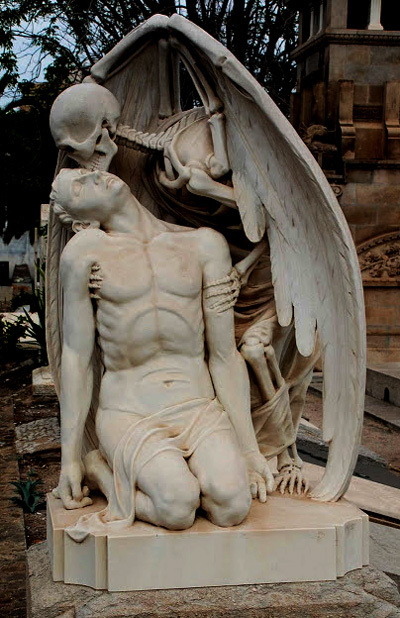 One is in plain marble, by Stefano Moderno (1599) in the Church of St. Cecilia, Trastevere, Rome. 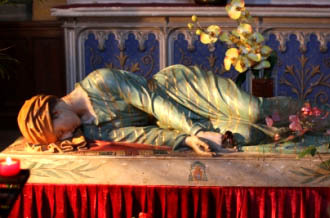 The other, a polychrome replica, is shown below. 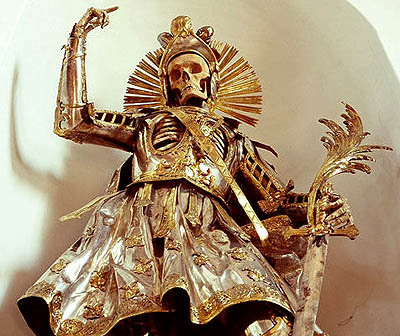 St Pancratius, Church of St Nicholas in Wil, Switzerland. 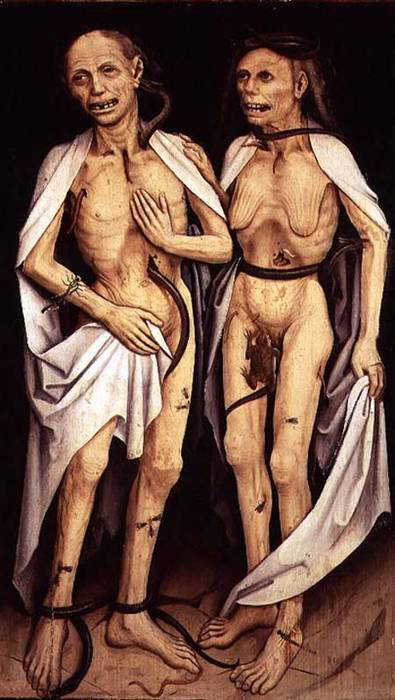 Mourning Jesus, or mourning a normal family life? Thank God for me it’s about a person and not the antichrist system built around Him.